The world does not remain the same and so do we. That is why businesses must learn how to keep moving along side it or they will get left behind and vanish. 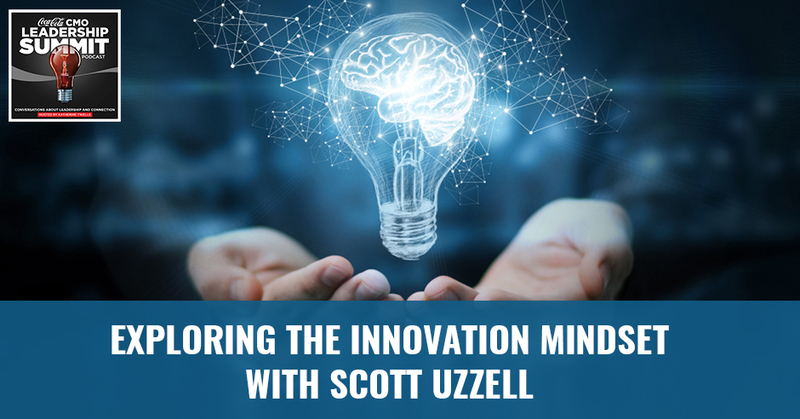 To do that, they must have what President of Venturing & Emerging Brands, Scott Uzzell calls the innovation mindset. He guides as you explore the world of innovation—from what is the current state and figuring out how to fit in it. He gives six distractors that make it difficult, not only for new companies but those that have been around for over 130 years, to innovate. Giving some great advice, he then shares how you can break them by laying a couple of examples that made inroads into that. 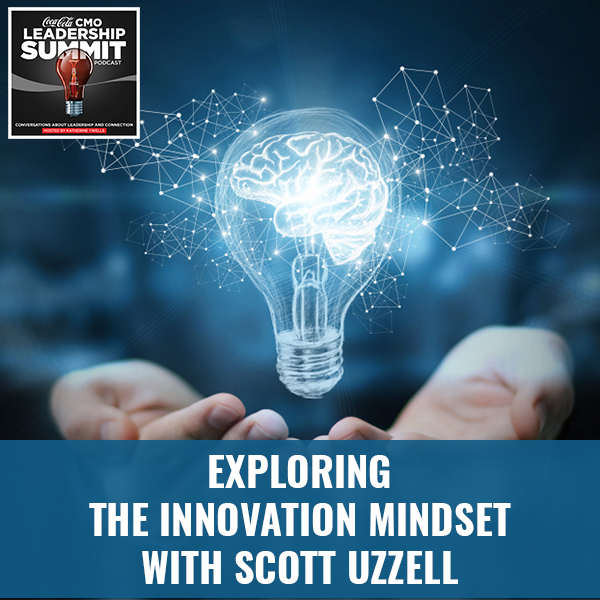 This is the presentation of Scott Uzzell’s talk titled Exploring the Innovation Mindset. I’m going to talk about the things in the corporate environment, in business environments that create that boot. Once you get something that’s working, you figure out how to make it work. I went to the beach with the boot, I could do all kinds of things with the boot and then when the boot’s supposed to come off, I didn’t want to take it off. One, I’m going to talk about our group called the Venturing & Emerging Brands group, what it is and what do we do and how does our discrete role fit in innovation. Two, I’m going to talk about the innovation mindset and what are those distractors that make all of us, whether in this room, the Google example to companies like Coca-Cola that had been around over 130 years. What are those distractors that make it difficult for us to innovate around ourselves? Then I’m going to talk about how do you break it and then a couple of examples of how we’ve tried to make inroads into that. Words like innovator, disruptor, agile, growth mindset in business are overused words. A lot of people I work with are the “operators” who say, “Tell me how this is going to create value, how it’s going to pay our bills and how it’s going to make sure we’re winning in the marketplace?” Let’s talk about that a little bit. First, let me talk about our group. We have been around about ten years. My predecessor started in 2007 and the reason we created this kind of venture capital group, incubator group was that ten years ago, innovation in the beverage category was not happening. Disruptive innovation from big companies, they were coming from entrepreneurs, whether it would be the Red Bulls and others. The other piece is we have our wonderful business system, but it’s set up for scale and this could be Coca-Cola, it could be Proctor & Gamble, it could be Nike, it could be any big company. We’re set up to serve a lot of consumers, a lot of customers in a good way every day. We’re not very good at dealing with small when it’s not sure what it’s going to be. The other piece, Peter said it as well as Ron, is that the average CEO or CMO’s job is two to four years. Everybody in big business wants an overnight success and all the overnight successes in the CPG world take about eight years. Whether you’re talking about the Kashi Cereal method, I could go on and on but all of these successes that were ultimately bought by a big company. If you think you’re going to do them in your tenure of two years as CMO or four years as CEO, it’s only a 3% success rate so it’s not a lot of incentive for you to spend a lot of time and effort to invent the next big idea when Wall Street or your investors want results next quarter this year. If you dial ten years forward from now, the world is even more complex. Categories are blurring, regulations are increasing and the rate of growth of these categories, whether it’s in our category or any CPG category that doesn’t exist today is exhilarating. The rough math, if there are 7,000 beverage brands in the United States, you’ve got about 40 that make up 90% of the revenue. Then you’ve got the other 4,000 and makeup all the long tail. Most of the 4,000 will be out of business, but there’s a few in there that’s going to be the ones that rock the ship. The difficult pieces, you can’t tell the good and the bad. They all look alike today. Our mission is to discover and develop a portfolio of brands that have a billion-dollar potential. That’s what we’re set up to do. The way we do it, a little circle there is we focus on the consumer. The consumer is boss. We have a small team of people focused on where’s the consumer going to be in the next ten years? What will they be eating and drinking? How are we going to market to them? What’s their lifestyle? The marketplace, where’s the venture capital money going? Where are the entrepreneurs investing their time? Who are the people who are quitting their jobs on a user need that they’re going to go focus on? We study that market. Are retailers willing to give it oxygen? Are they creating shelf space or opportunities for these brands to win in the marketplace? Lastly, is there some regulatory that back it up? Innovation Mindset: It’s the fear of failure and that constant ease of recognition that keeps organizations from innovation. We found when you get the first three right, the consumer, the market, the retail, we come in and invest and say, “This is going to be a big idea,” but then the FDA says, “This is no longer a niche. We need to come in and put some regulations that can take the value of the investment way down.” Then once we figured out that future, we figure out if we want to build it, buy it or invest in it to be a part of that future. We’re set up into four buckets. We’ve got a person, Kellam Mattie is our CMO. She leads the future work, she lives in the world of 2025 and beyond. She’s trying to figure out what that consumer is going to be eating and drinking and how do we think about it. Half at which she presents to myself and our senior leadership is wrong, we just can’t tell what part’s wrong, so that’s her job. Then we have a small group of people that focus on, once she paints the picture of 2025, how do we participate? We have another group of people focused on once we make the bet. We know that 98% of these innovation bets, whether we invest in an existing entrepreneur or we launch it inside our building is not going to deliver. How do we beat the odds and take that 2% success rate to 12% or 15%, which is still good? We surround it with resources. Lastly, how do we bring the right level of touch and feeling from the Coca-Cola company to give that investment a chance to grow faster but not so much, it kills the magic? Everybody wants innovation to happen. My boss wants it, our company wants it and they want it. They want to create value, they want it and they wanted to win. CMO polls, 97% of the CMOs say innovation is a top priority and over half say that their organization is not prepared. It’s not a priority in their organization. Why is that? Why not? Because we tend to follow the same path. It’s how we’re wired. It’s ease of recognition. It’s a fear of failure. It’s my boot example. Once you get into a pattern, it’s difficult to break it. I’m going to try something. You’ve done it the same way for forever and you will continue to do that forever. Even something as simple as crossing your arms, it’s in a path and it’s very difficult to break that. Great ideas are out there, but they’re subtle and easy to miss. Here are the six distractors of innovation and they’re all very rational. First, every great sports team, every great company, every great person, once you figure out how you’re successful, you don’t want to change the magic. You just don’t. Do you ever do anything in life that you do well and you’re like, “I’m one of these people.” I do a sporting event. I got the same shoes. I woke up at 6:40. I’ve been doing everything the same. The idea that the day of the next event I’m going to change the game plan, that’s sacrosanct. Structure is what brought all of our companies to be successful. Once it’s successful, we’re trying to bottle it up. Next is optimization. How many people have done best practice? Someone’s figured it out. Don’t break it. Do what they’re doing. That’s what we roll out every day. I think about our life, you get up every day and it’s like you have this to do list. It’s very difficult to find time to be innovative. Life, I don’t have to talk about that. That gets in the right way all the time and then we’re built for it. When we were living in the forest, we look for shortcuts in complex situations. A paradox of choice, “Give me something quick so I know what to do.” It constraints this whole thing around budgets, “I don’t want to spend the money. Can you definitely make sure it’s going to pay out? Are you sure this innovation is going to deliver my plan next year?” These are the things we get asked and these are all the constraints and then you get into comp and promotion. You get to the average brand manager at a company is in a role less than two years. If I’m going to tell you an innovation is going to take three or four years to change the company and you have a 2% chance of success, why would you ever spend any time against that? Let’s talk about how we break some of these. We’ve pulled it down to six areas. How do you train your brain to look for different patterns? I’m not speaking up here as if we’re professors and we know the right answer, but we’re trying to put strategies in place to help us work within this wonderful company called the Coca-Cola Company. It needs to be predictable. It needs to deliver on its commitments and to its consumers and customers every day. How do we still be innovative in that so we can bring you new solutions, but not bring down all the wonderful things we do as a company? First, scanning for trends. We study a lot of different consumer panels. One of them is called the health-engaged the consumer. We study these consumers that, if you think of the US business, the US marketplace, you’ve got about 3% to 5% of the people that we call ultra-consumers, ultra ATC. These are the consumers that are vegan. They read labels, will not consume anything unless it’s good for you and has a great sustainability story. If you went back twenty years ago, that number is about 1% difference, meaning they were vegan but these consumers don’t change much and they’re not a big commercial opportunity for our company. However, they tell us a lot about where the consumer trends could be in the next ten years. Innovation Mindset: Breakthrough thinking builds the innovation mindset. The next one that’s most interesting is called the core HGC. They study the ultra, but this consumer cohort is more flexible. I like to say it’s like they follow health and wellness trends, they read everything but they are likely to have a kombucha in the morning, a vegan lunch and then have a bourbon and burger in the evening. It’s balancing tradeoffs and they’re very aware of it. The aspirational HGC focuses on health and wellness and all the trends, but more so from a standpoint of calories and sugar reduction, but not so much in terms of the things that I talked about and then over half the US population does not make buying decisions on the trends that the ultra and the core do. However, that 48% was a lot larger before so it continues to decline. Next, we look at adjacent markets, a small team of our group spends time at the consumer electronics show, beauty and fashion and not necessarily the fashion shows but studying the industry to look at adjacent categories. I never forget a few years ago when our team went to Las Vegas for the CES event and we’d meet with venture capital firms like, “Why are you here? There are no beverage companies here.” We’re looking and trying to say what is life going to be like in the year 2028 when everything’s connected through the internet, when 3D printing is alive and well, artificial intelligence, predictive analytics are there and how does that impact beverage purchases in the future. Looking at adjacent markets is important to us. Next is studying passions, whether it would be goat yoga, e-sports or the gentleman I was with. He’s the president of the anti-aging group. He’s trying to live until 150 years old and tons of people are focused on that. It’s studying these consumer cohorts that are very nontraditional to build our brain, to try to connect the dots. All these things that linearly don’t fit together. We then visually display them. We have a room on the 14th floor in the Coca-Cola company building that’s our meeting room and it’s got thousands of brands in there, but none of them are Coke products. When that room was started five, ten years ago, security would stop you, “What are you doing? You can’t bring that in here,” and then we figured out that the way we’re going to learn the market is by seeing what’s out there and putting it on a shelf and connecting the dots. Taking all these areas I talked about in creating something called consumer sweet spot. They are a little different than demographic or ethnographic areas. It’s taking the quant and the qual that I mentioned and developing areas that we think consumers are going to focus on tomorrow. They’re agnostic to beverages. We could be a leisure company, we could be an apparel company, a snack company, but these are things that we think are relevant to the consumer and that’s where we focus on. We get the phone call from the entrepreneur, we spend time with the venture capitalists, we look at new internal innovation, we focus on our consumer sweet spot to figure out, “Is this something we want to go invest in?” We force ourselves to do it over and over again to make sure that we don’t lose the loop because it’s always changing. Build an innovation mindset through breakthrough thinking and don’t follow the straight path. You might have to create your own path. Shift your mindset, move from being a farmer to a hunter. There’s nothing wrong with being a farmer, but I’m going to complete this analogy here. We’re all farmers. We are built to be farmers. It’s about consistency, planning, discipline and organization but we need to be more like hunters. Be curious, prospecting, kill it and bill it. Deal with uncertainty and be willing to take no prisoners. Take things differently. I went on a leadership course at Fort Benning and I didn’t know much about the military. I’m glad we have our military and they’re wonderful people, but Fort Benning is a place for Army Rangers and a number of us went down there to say, “Can we learn from the Special Forces and how they lead their people?” What’s interesting about them, a couple of things I took away from the day, one is that the Army Rangers are taught to fight between 2:00 AM and 6:00 and only when there’s less than 30% of the moon so it’s darkness. That’s first, but the second thing is that they don’t go and take a hill and fight back and forth. They’re going to either come in the middle of the night and take something from you or they’re going to kill you, but they’re not there more than four or five hours and they can be anywhere in the world in 36 hours. Third, they spend months planning for this four or five-hour mission that’s got to be the moon and everything’s right to be anywhere in the world that’s never going to happen but what they talked about was 90% of the missions never go as planned. Second, I want to build a master brand, a brand that starts off with tea but that can be kids’ products and coffees. Honest Tea is a brand. It’s in over 30 countries in multiple different platforms and the kids’ business is bigger than the original tea. Then he very cleverly, as a gentleman who didn’t have a lot of money, build a marketing campaign with nothing. 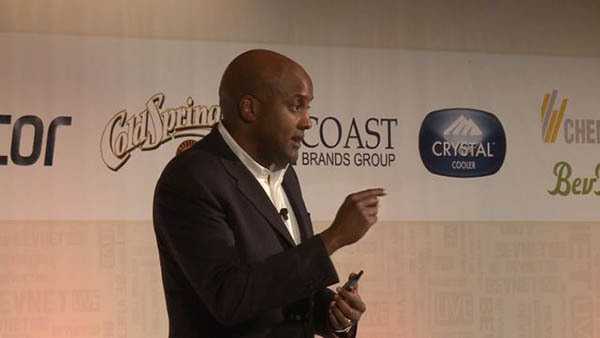 He said, “Honest Tea is about honest labels and honest products and honest transparency to the consumer. We’re going to put hundreds of cases in front of Wall Street or in front of the Capitol or on Rodeo Drive. We’re going to put a camera up and put a box that says if you take one, put a dollar and we’re going to give it to a charity, but there’s nobody there to monitor it.” What he did was on the camera, he could figure out how many people put money into how many people grabbed it and walked away. It created the honest index that ended up ultimately in 50 cities around the world. $50 million in media spend without spending any money earned, but it’s a clever campaign but that was his ambition. It’s doing very well. Next is Zach. Zach started a company called Dirty Lemon. We do not have an equity stake in this company. This is a company I find fascinating. His idea was, “How do I disrupt this boring category called water? It’s flat, it’s plain. You always want more with it.” He said, “I’m a tech guy, I’ve never even been in the beverage business. I want to do a different business model.” Zach developed a product that brings water into detox, restoration and energy with 30 different flavors. The only way you can buy this is through conversational text either through Instagram or text. You can’t go to a retail store, you can’t order it on Amazon, you can only order it that way. Through his chat box and artificial intelligence, he’s able to figure out what brands and products that consumers want. As they talk about it, he’s able to rapidly innovate new solutions every 30 days. It’s amazing and one of the executions so that consumers can touch his product is created something called The Drug Store that he’s doing now in Manhattan. It will be in Venice soon. It gives consumers a user experience right there in the store. It’s a fascinating proposition but when you talk to him, he says, “I’m not a beverage entrepreneur, I’m a tech entrepreneur delivering beverages.” It’s a different way of thinking. My last few user examples are fascinating. The milk category is about $26 billion and for the last 30 years, it’s on a decline. It went from 1% to 3%, just bulk milk. Those two people, Mike and Sue, are venture farmers. When I first met them, “I’m going to meet these farmers,” and then they get off their own jet. I said they’re a little different than farmers. As a guy growing up in suburban Maryland, I had never met a farmer, but I call them to venture farmers. He’s a fourth-generation dairy farmer, he has 30,000 heads of cow around the country but he had an idea. His idea was that cows that have 70 degrees every day regardless of where they are in the US, that listen to classical music, that get milked when they want, not when we want, will have lower stress and their milk will taste better. Some very senior people at our company said, “No way that milk will be better.” We brought scientists in. They tasted the milk, they tested it and showed that the bacteria of the milk coming out of his cows are better than pasteurized and it’s naturally coming out because their cows are not under stress. Great tasting milk based on the farming that he puts in place, differentiated packaging, moving from cartons to jugs to something like this that we can charge a 30% premium and then using unique technology to take the milk apart and put it back together, not adding anything to boost the protein, remove the lactose and make great tasting products. This is a business that five years ago was zero sales that many might say it could be a billion-dollar business very soon, if not already and a great sustainability story. These were all people that focused on the abundance of add opportunistic, aspiration to change a category. Be like Seth, be like Zach, be like Mike and Sue. Hunt for the iceberg. Be curious, be insatiable. Look for patterns, increase your options, be willing to miss. Those are all necessary to have an innovation mindset. Mr. George Scott Uzzell has been a Director of State Bank Financial Corporation and State Bank and Trust Company since December 21, 2017. Mr. Uzzell is president and General Manager of Venturing & Emerging Brands (VEB), a division of The Coca-Cola Company. He is identifying and nurturing the next series of billion-dollar brands for The Coca-Cola Company. Mr. Uzzell previously served as President of ZICO Beverages, LLC from 2013 until 2014 and as Chief Commercial Officer and Executive Vice President of Sales from 2012 until 2013. 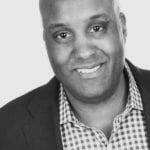 Mr. Uzzell previously served in a number of leadership roles for The Coca-Cola Company, including Vice President of Business Development and Emerging Brand Incubation within VEB from 2009 until 2012. His leadership includes ZICO, illy issimo and Core Power. 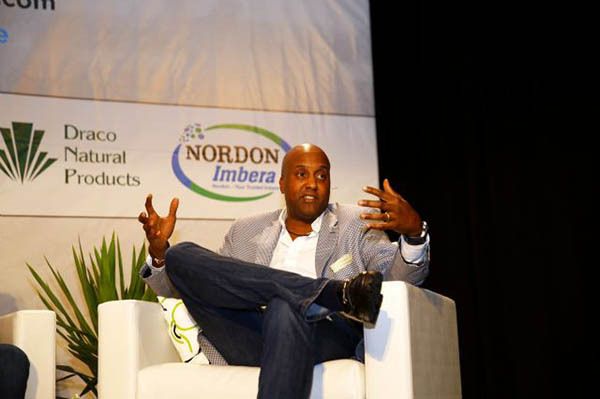 He is a director of Fair Life Ventures, Honest Tea and Suja Beverage company, all high-growth partnerships of The Coca-Cola Company. Additionally, he serves on the non-profit boards of Florida A&M University Foundation and Youth Entrepreneurship of Georgia. He holds a bachelor’s degree in business from Florida A&M University and an MBA from The University of Chicago.